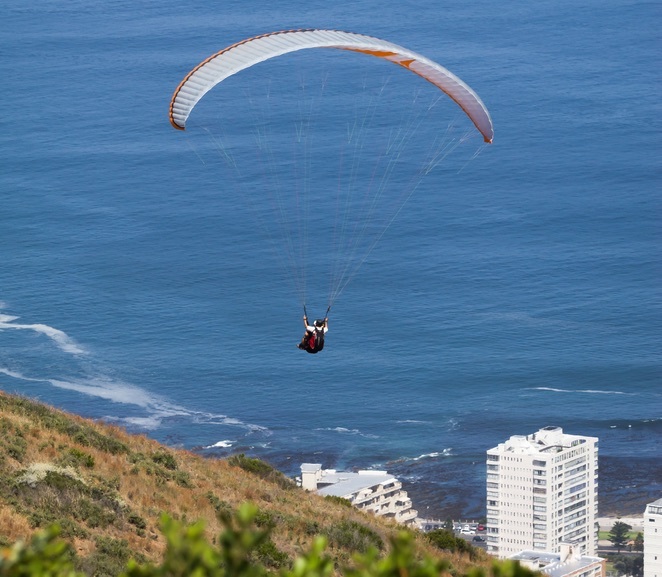 Read here the wonderful story 'Enjoying Life in Cape Town' by Ioel who came to South Africa to experience life in a foreign country as he was raised overseas by his South African mother. In Cape Town, he now lives happily with his family and shares here his insights on enjoying life in Cape Town, the cost of living and raising children with us. Although I was born and raised overseas, my mother was born and raised in South Africa. Thus when, 35 years old, I've decided to find a foreign country to live in, South Africa was a natural choice. I got my passport from the embassy in Tel-Aviv, explored some job opportunities on the Internet (I'm a computer programmer), and in I came. I was a single man with no children, local passport, University degree and well demanded skills. So my way in wasn't too difficult. Cape Town mountains had long fascinated me, so I chose this place, even though job opportunities and salaries seemed significantly inferior to those of Gauteng. After a year I bought a property and here I'm still living - now with my family. Almost everything is cheaper here. Of course access (transport and communication) to Europe and Asia is cheaper from Israel than from here. Quality of most services is usually as good and in many cases better than in my home country. Private medical services, which were not an option for me there, are expansive but still affordable here. I tried to make the most out of the amazing outdoor culture of South African middle class. I became very enthusiastic about paragliding. Through that activity, as well as "plain" hiking, I got many social contacts and good acquaintance with some beautiful spots of this country. Other aspects of local culture, say beer or cricket, didn't fascinate me as much. Regretfully I couldn't maintain the same level of classic cultural activity that I used to back in Israel. Of course there are no Hebrew bookstores here. Also, the type of cinema that I like seems to be less available here than it is in Jerusalem. Walking on and jumping off mountains could only partially fill that gap. Then I met Tamar - pity it took as much as ten years after coming to Cape Town. To be honest I have only encountered that 'culture shock' after Tamar and I had established a long term committed relationship. She is a local English speaking white architect with two daughters who were then 17 and 13 years old. I thought I had known a lot about their culture and possible cultural differences but No, I had much to learn and I still do. Of course differences regarding raising Gia also have some cultural background. In other areas, cultural differences may be avoided, bypassed or overlooked, but it when it comes to one's home and particularly to one's child it is more difficult to accept the difference and compromise. However, my parents had similar difficulties - somehow they managed. While Tamar was pregnant I started paying more attention to schools. One was just 60 meters from our door, just outside the Mowbray railway station. A teacher used to stand outside the gate of 'Little Hands' - now 'Explore & Discover Montessori' to welcome the children as they approached school. From time to time I used to stop my bicycle to observe, chat to the teacher and to parents about that school. It turned out that some acquaintances of mine sent their children there so I discussed it also with them. Gia was accepted to that school, much to my delight and now much to hers too. Many thanks to you, Ioel, for sharing your story and all your lovely insights! Wishing all the best to you and your family. All the best for enjoying life in Cape Town!